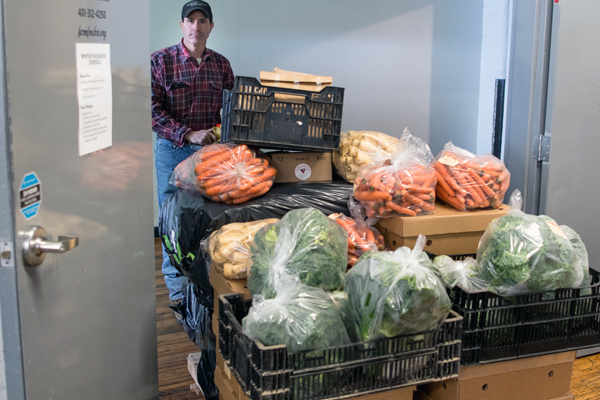 On Mondays and Wednesdays, Market Mobile producers deliver the items that have been ordered (for Tuesday or Thursday delivery) to our Packhouse, where we store those items overnight in various temperature controlled areas. This makes it easier for local growers to reach a wider range of customers with just one delivery location: our Packhouse. The following morning, our team aggregates those items per order (in a process we call packline) and delivers the orders to wholesale customers across RI and the Boston-metro area.